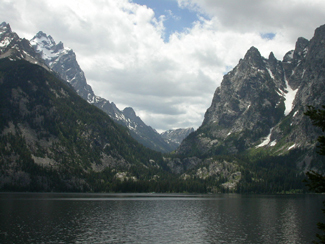 This is the view of Cascade Canyon from a turnout on the one way road along Jenny Lake. 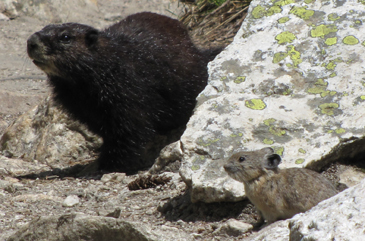 We’ve seen moose, deer, a black bear, a pine marten, a fox, a weasel, marmots, pikas, river otters, golden-mantled ground squirrels, tree squirrels, Steller jays, tanagers, sparrows, water ouzels, butterflies and more. As you go up in elevation you’ll find different spring/summer flowerings. 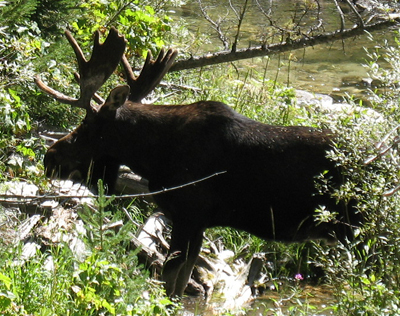 Moose, Wyoming is at 6,454 feet elevation. Just as the snow melts earlier at a lower elevation, the same flowers that bloom in Moose will be blooming about a day later for every 100 feet in elevation you climb. 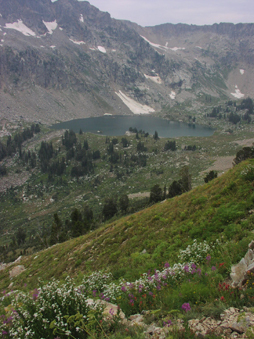 A long spring or early summer hike up Cascade Canyon will not only give you great views back down to the flatlands, closer-up views of the snow-topped range and all those cascades tumbling down the cliff walls, but also days earlier peak wildflower bloom than on the flats. 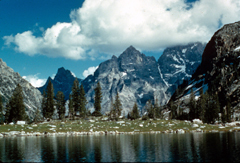 You can catch the (fee) shuttle boat across Jenny Lake (6,783 feet elevation) (late spring to early fall) and save 2 miles of hiking, but you have to wait for the first boat run. 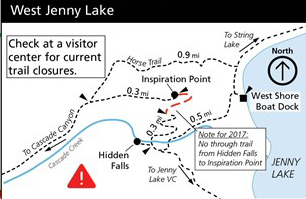 (Check when the last shuttle boat return run will be and plan your hike accordingly or plan to walk farther. Last boat leaves the dock at the posted closing time.) Reservations not required. Cost (from the website 2018) round trip adult (12 yrs to 61 yrs) $15, round trip child (2 yrs to 11 yrs) $8, one way adult $9, one way child $6, senior (62+) round trip $12, under 2 and over 80 free. At heavy usage times there will be a line to wait in. You can do a short (one half mile from the boat dock to the falls) hike to Hidden Falls and the Inspiration Point viewpoint that looks down to the lake (The Rangers sometimes lead hikes there, 2 1/2 hours, 2 miles, with some moderate uphills, usually limited to 25 people) or for a farther hike it’s 4.5 miles to the trail junction at the forks of Cascade canyon (elevation 7,840 feet) and another 2.7 miles and a 1,000 foot plus climb to Lake Solitude at 9,024 feet elevation. 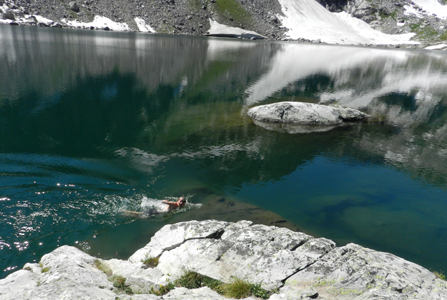 This part of the trail may have snow until the first part of July and ice may not leave the lake until then. 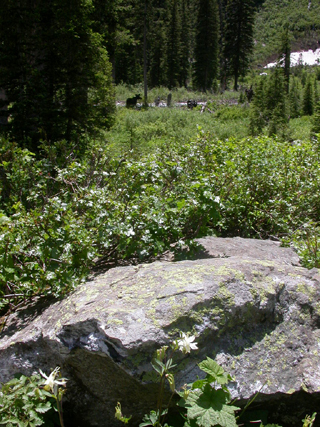 Wildflowers at the lake peak in late July or early August depending on the snow melt. If you get a permit this can be a backpack all the way up Paintbrush Divide and looping back down to String and Jenny Lakes. 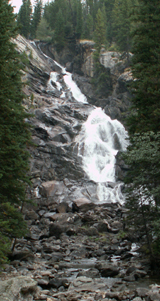 AND in part of summer 2018, rangers were “monitoring a crack in a rock buttress above the Hidden Falls viewing area near Jenny Lake. To ensure visitor safety, the information is being used to develop a risk assessment of the potential for rockfall. . . (July) the Hidden Falls viewing area is currently closed out of an abundance of caution . . and the trail reopened in August. The huge piece of rock fell in early November (“The crack in the rock identified earlier this summer was approximately 100 feet long and it appears that the entire length of the crack broke off or calved from the mountainside. 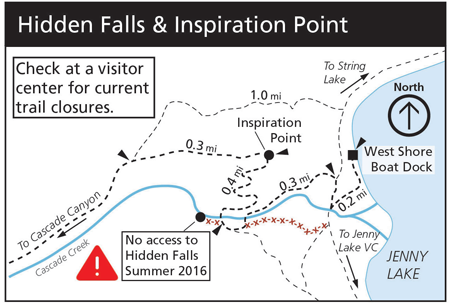 After initial observation, it appears that the Hidden Falls Overlook did not receive any damage. Large rock debris is located about 50 yards from the overlook with small rock and tree branch debris closer to the overlook area.”). Always check with Rangers for trail conditions before you go so you won’t need to be disappointed. 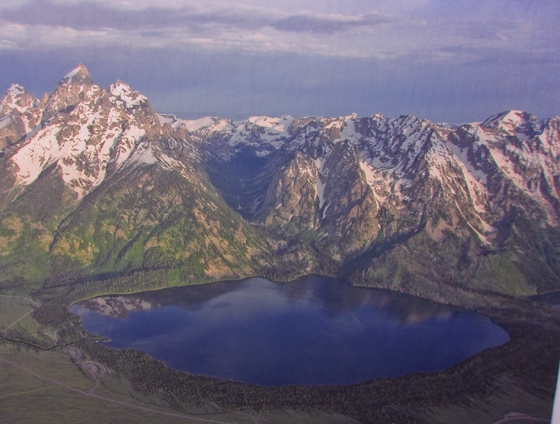 There you will find info you need to know, for example in 2012, Lake Solitude started to melt around the edges by June 30, and was open water July 13. 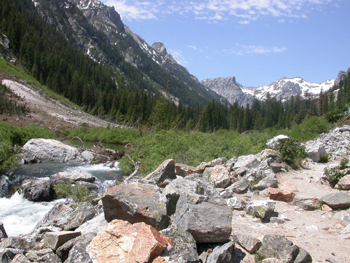 By July 13 the north fork of Cascade Canyon was mostly dry and all campsites were snow free. 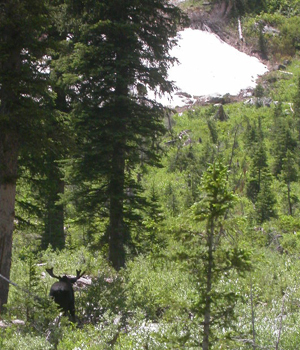 By July 20 only patchy snow remained in the upper portion of Paintbrush Canyon. 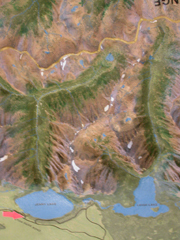 Below are pictures of the raised relief map at the Moose and Jenny Lake visitor centers showing the area from Taggart Lake to Jackson lake and a closeup of (L to R) Jenny Lake (6,783 feet elevation), Leigh Lake and Cascade and Paintbrush Canyons. 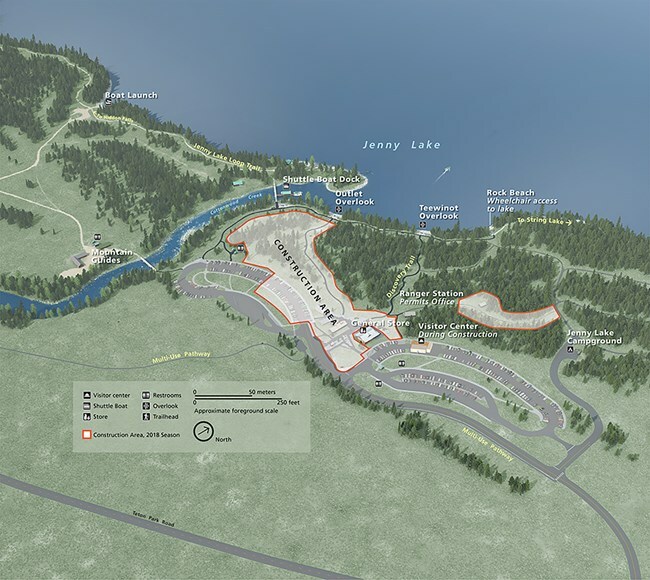 The red arrow points to the Jenny Lake visitor center and shuttle boat dock location. Most people only do the short walk to Hidden Falls, so the crowds disappear as you go farther. 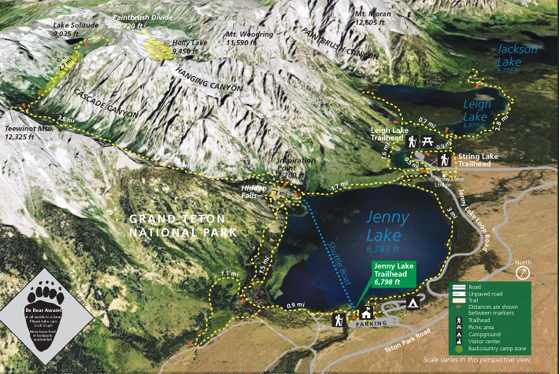 After the fall the trail becomes increasingly steep, leading to several viewpoints with wide views across Jenny Lake. 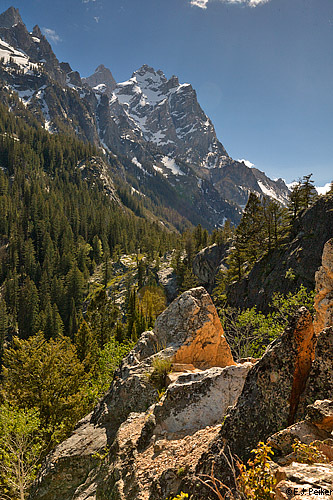 The first viewpoint has almost as good of a view as the last, so consider at least going that far if the remaining steeper trail would bother you. 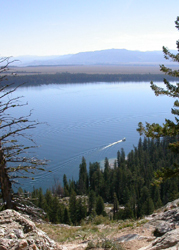 Below, a shuttle boat takes off from the dock below a viewpoint. If you planned ahead and brought enough water, lunch and rain gear you could continue into the canyon. There is water only steps away here and there in the canyon, but it is only safe to drink if you brought a water purifier. There are no restrooms or pit toilets along the trail. 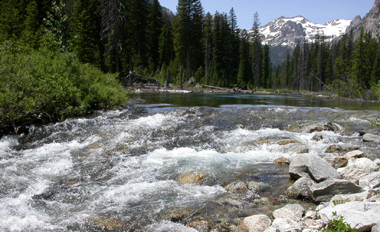 You should be prepared to “urinate at least 200 feet from streams and lakes. 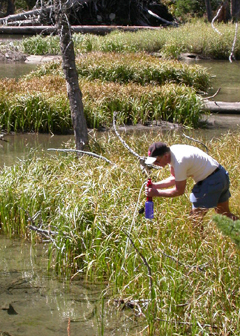 To prevent contamination of waterways, bury feces in a hole 6-8 inches deep at least 200 feet from streams and lakes. Pack out” (do not bury or burn) “used toilet paper,” etc. 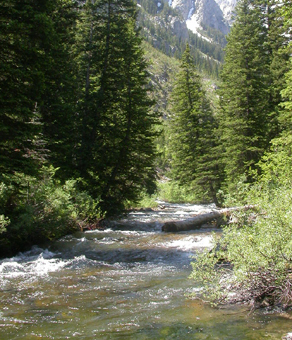 After some hiking near the creek, the trail opens up with a first view of the peaks. 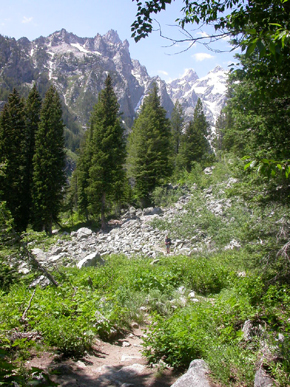 Can you see the hiker midway along the trail in this section? On the right, about a half mile along the flatish section of trail above the first canyon switchbacks, Storm Point draws climbers. The first part of the southwest ridge route, known as Guide’s Wall, draws more climbers than most other one day climbs. Climbing experience required. Without experience, but with with binoculars, you can spot and watch climbers along a lot of the canyon when you hear their voices reflecting off the walls. The bull didn’t give us a classic pose for a picture during the half an hour we watched him. 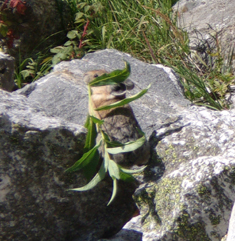 With your own binoculars you can see animals up close. 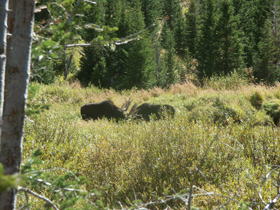 Friends hiking the day before also photographed a bull moose from a safe distance. You can always enlarge part of the photo. (Photo below by Wendy Sato). 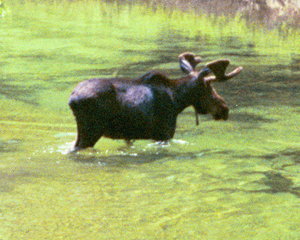 As luck may have it, you can wait and watch for hours and the Bull Moose with the huge antlers will stay napping. 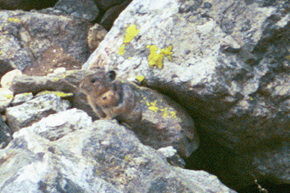 Stop for awhile and look for Pikas and Marmots in the talus (rockslide) slopes. 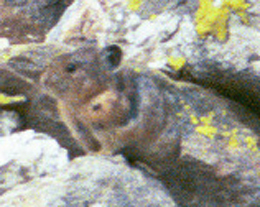 Below a baby pika huddles close to mom. (Photo by Wendy Sato). 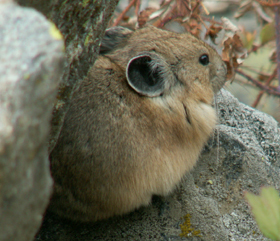 and one year we watched a pika scampering with food to dry and store for the winter. All along this trail you will find wildflowers. 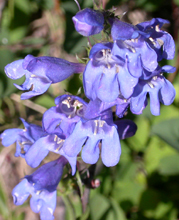 At Cascade Canyon wildflowers you’ll find pictures of Penstemon, Silky Phacelia, Western Serviceberry, Cascade Mountain Ash and Columbine in June and fall colors of Asters, Mountian Ash and Aspen in September. The farther into the canyon and the higher in elevation you go the lower the temperature will be. 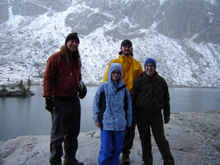 One forecast on the 2009 trip had 75 degrees in the valley at 6,000 feet elevation, 68 degrees at 8,000 feet and 60 degrees at 10,000 feet. 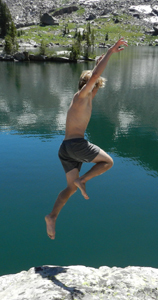 Another forecast had 68 degrees in the valley at 6,000 feet, 61 degrees at 8,000 feet and 53 degrees at 10,000 feet. 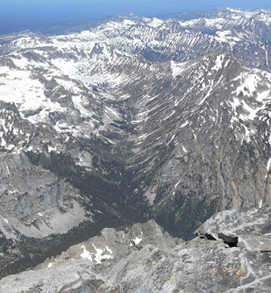 By June 8, 2014 there was 60% snow up Cascade Canyon and nearly 100% snow to Lake Solitude. 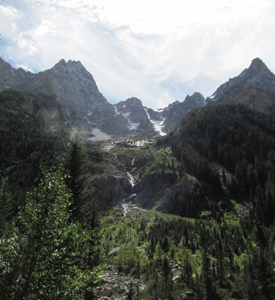 By June 4, 2013 the first 4.5 miles of the Cascade Canyon trail had minimal snow, by July 4, 2013 the Cascade Canyon trail was free of snow all the way to to Lake Solitude. 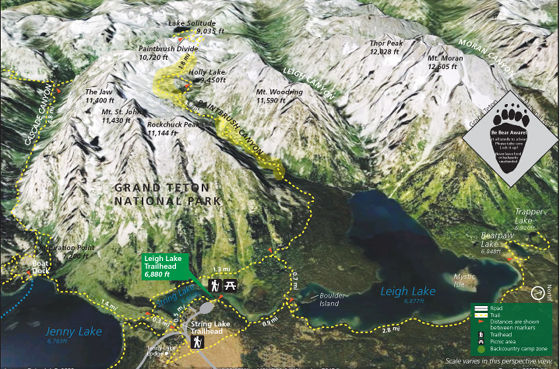 Most park high elevation trails, canyons and passes still contained patchy snow or small snowfields to cross by the end of July 2010/2013, mid July 2012. 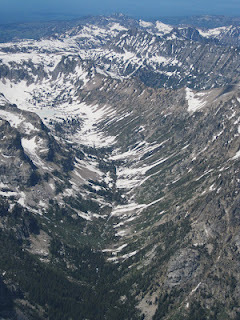 By the end of July 2011, there was still 2-5 feet deep snow at higher elevations and many passes. 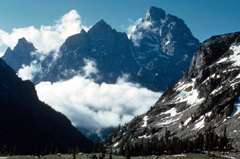 High elevation campsites can clear up from snow with enough space to pitch a tent in mid to late June, but the bear boxes can remain buried in snow so bear canisters will be required by the park. 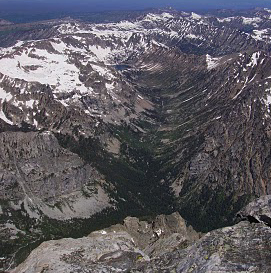 Below, park service photos of the north fork of Cascade Canyon as seen from the summit of the Grand Teton July 25, 2010 and June 28, 2012. 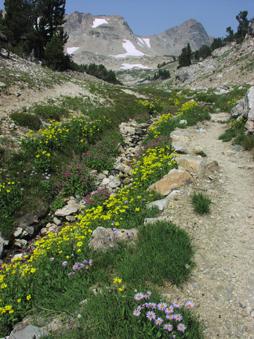 In July, 2010 Lake Solitude was barely melted out and Paintbrush Canyon had a small path shoveled out of it’s steep snow patch. 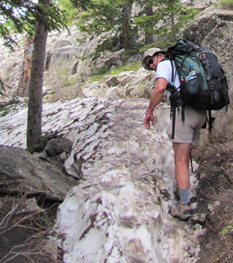 A backpacker had lost his balance on this steep snow, and broke (open fracture) his leg July 18. 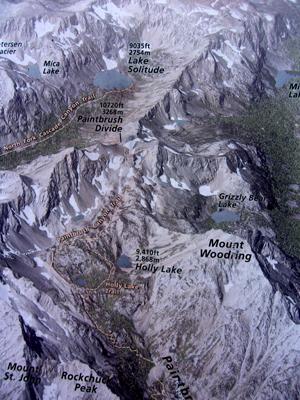 Below: NPS display of part of the trail up to Lake Solitude, over Paintbrush Divide and down to Holly Lake on the Paintbrush Canyon trail. 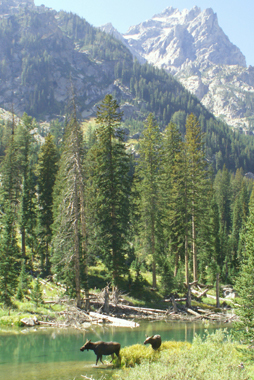 Grizzlies are rare in the Grand Tetons, but growing in number. 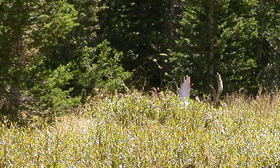 you see a bear in the distance or a bear charges you and has info, including links to park videos about Bear Pepper Sprays. 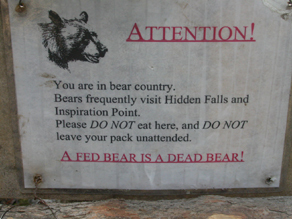 including the question: Can menstruating women camp or backpack around bears? YES. photo below by Quang-Tuan Luong/terragalleria.com, all rights reserved.